A few years ago, we took a look at the confusing nature of “sell by” dates printed on food packaging. Many often assume that these numbers show when a particular item will spoil and thus become inedible. On the whole, however, sell by dates indicate when food starts to become less flavorful, not dangerous to eat. 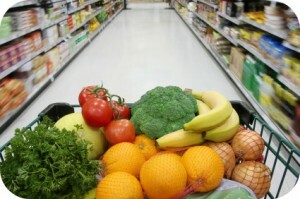 As a result, each year thousands of people as well as supermarkets toss tons of otherwise edible food into the trash. While changing the habits of individual eaters remains a tall task, the French government recently passed a law that will at least stop this practice among major food sellers. Under the new legislation, supermarkets can no longer throw out items that have passed their sell by dates. Instead, they must donate the leftover food to charities and food banks. The law received overwhelming support from the French legislature, including a unanimous vote in favor of the measure in the nation’s senate. No one’s more excited than French food banks, though, which will be able to hand out millions more free meals annually to those in need. The law only applies to food sellers who occupy at least 400 square meters of space, requiring them to sign donation contracts with charities or else face a penalty. Food must then be distributed “with dignity” directly from food banks rather than simply handed out on the street. Along with these measures, the law also makes it easier for food producers to donate unwanted or excess items. Before the legislation, for instance, a dairy company that produced yogurt under a supermarket’s brand name faced a complex process if they wanted to donate it to a food bank. With that red tape removed, now foodmakers can easily donate their unwanted stock directly to charitable organizations. And while the law only applies to France currently, the activists and legislators who championed it plan to pressure the European Union into enacting a similar set of rules for the whole continent. Should the U.S. develop legislation similar to France’s food donation law? How should French food banks prepare for such a huge increase in donations? Source: Angelique Chrisafis, “French Law Forbids Food Waste by Supermarkets,” The Guardian, February 4, 2016. Photo by Greg Gavedon.